<area> tag defines an area by using image map. <area> element is nested in the <map> tag. It supports Global and event attributes. <area> tag belongs to Flow content and Phrasing Content category. nohref attribute supported in HTML4. download, hreflang, media, rel, type attributes are new to HTML5. 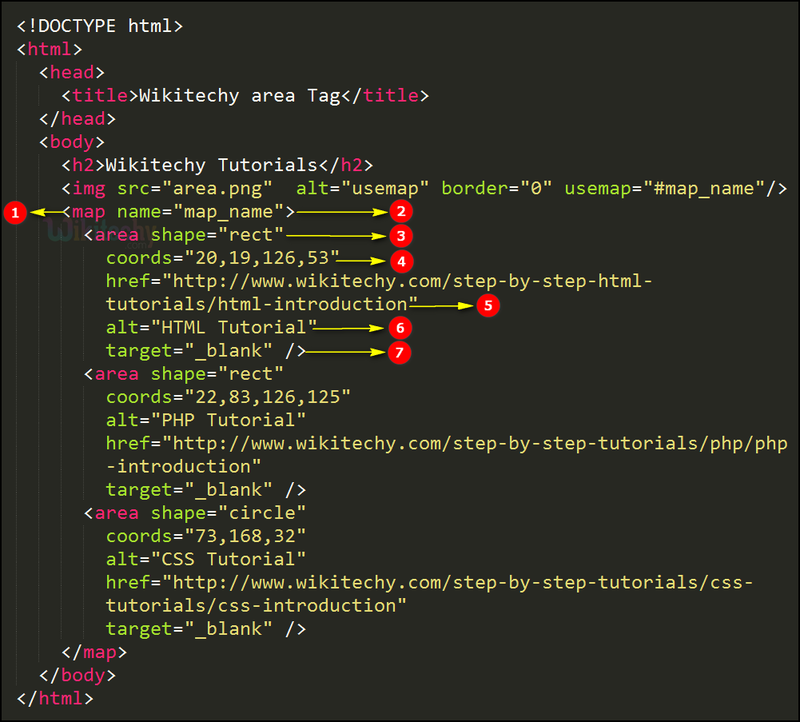 <area shape="rect" coords="22,83,126,125" alt="PHP Tutorial"
<area shape="circle" coords="73,168,32" alt="CSS Tutorial"
<map> tag used to define list of area to map. name attribute used to define a name to the <map> tag which is used in usemap attribute in a <img> tag. shape attribute is used to define a rectangle shaped area to be map. coords attribute is used to co-ordinates of the rectangle as x0,y0,x1,y1. href attribute is used to set a target link to the mapped area. alt attribute is used to define alternate text for the area. target attribute is used to define that page will be opened in a new tab. 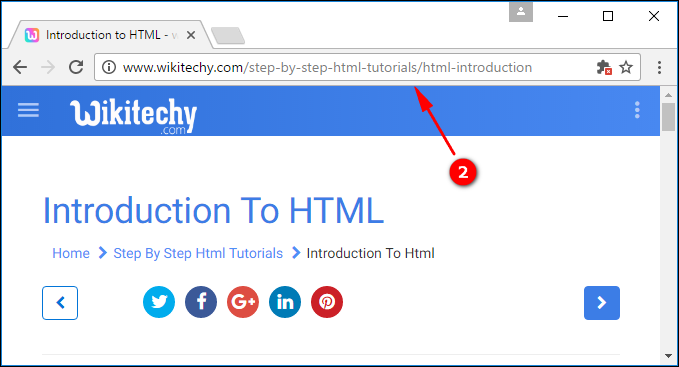 When user click in the rectangle shaped “HTML” area that will be redirected to HTML tutorials. 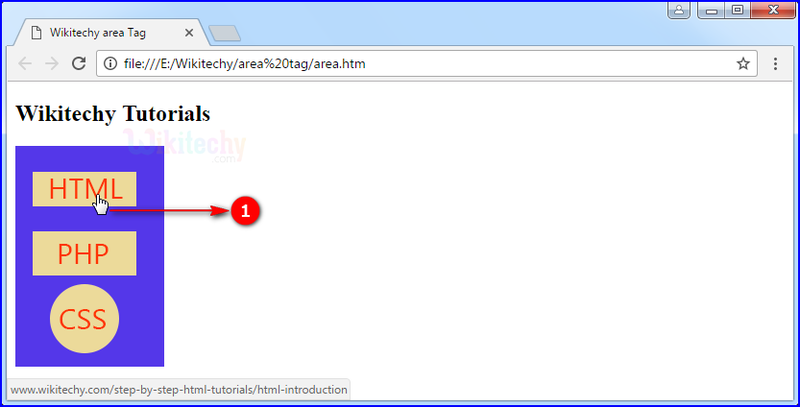 That the HTML tutorials page will be displayed.